Slightly-curved commode, with four drawers on three levels with noticeable dividers. 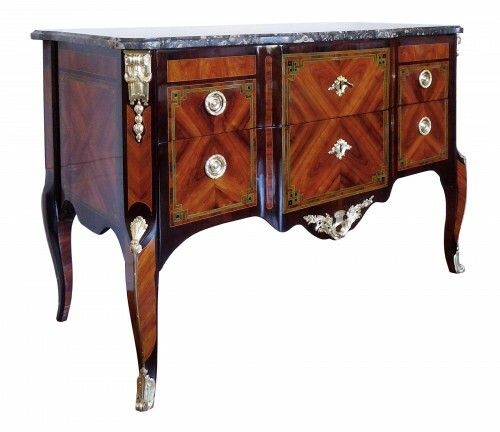 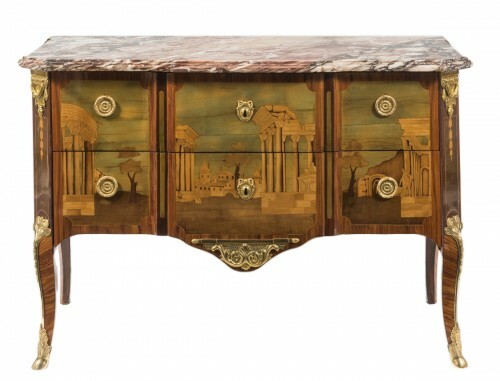 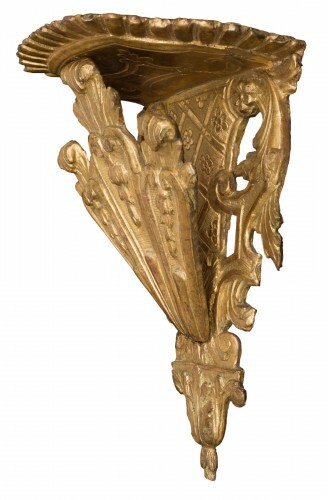 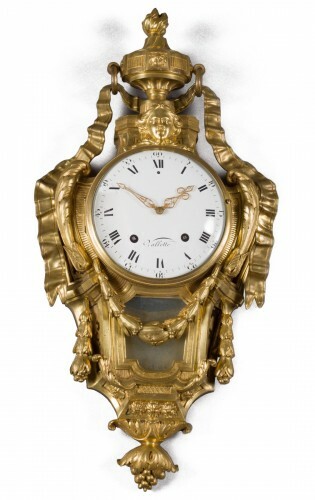 Rosewood veneer, top in breche marble, chased gilt bronze ornaments. 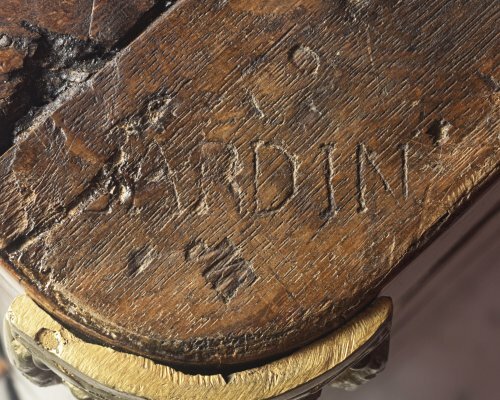 It is stamped JME (Jurande des Menuisiers Ebenistes parisiens) and stamped twice by André-Antoine Lardin (1724-1790, declared “master” in 1750). 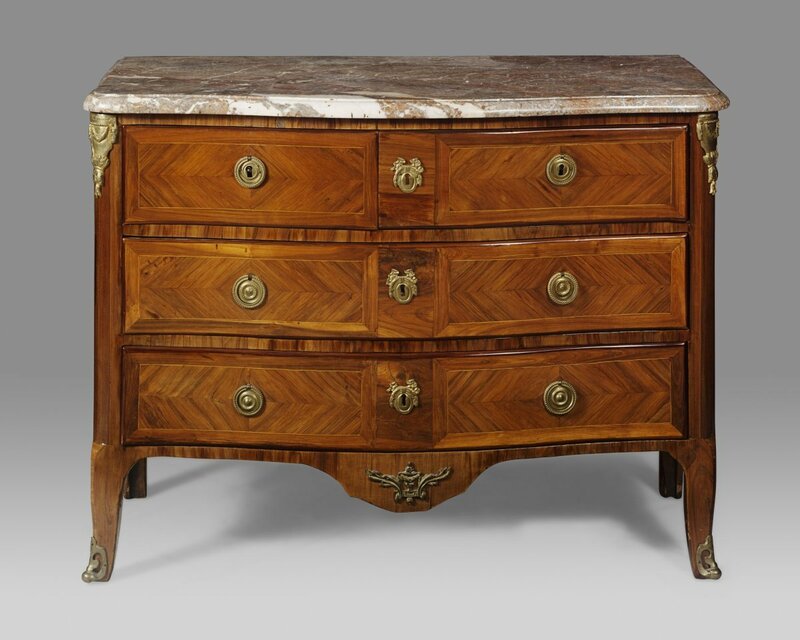 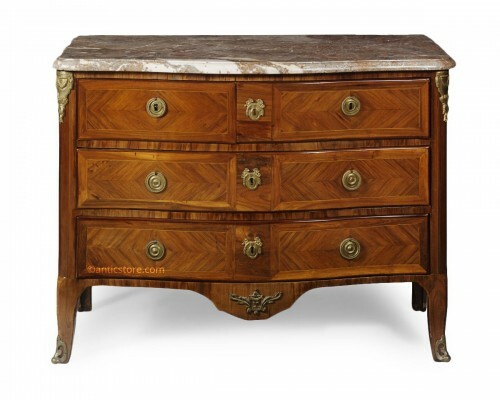 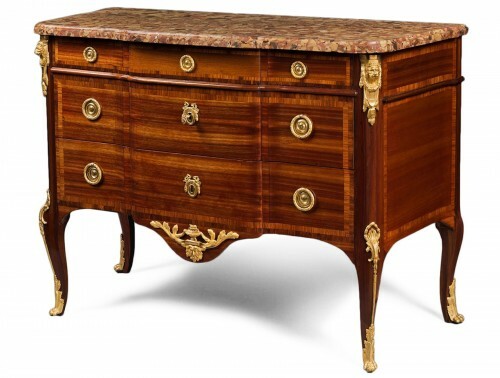 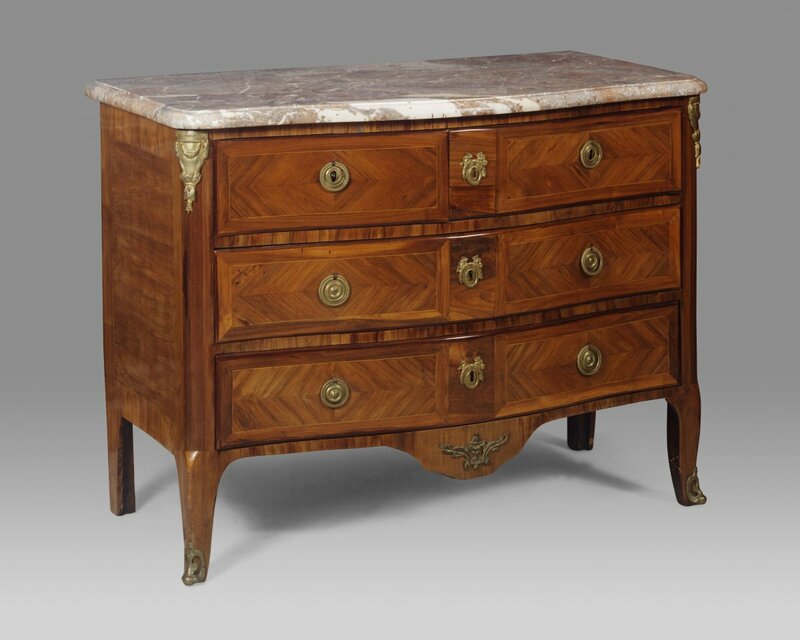 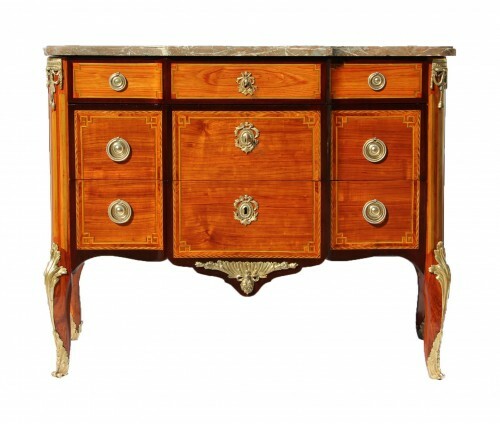 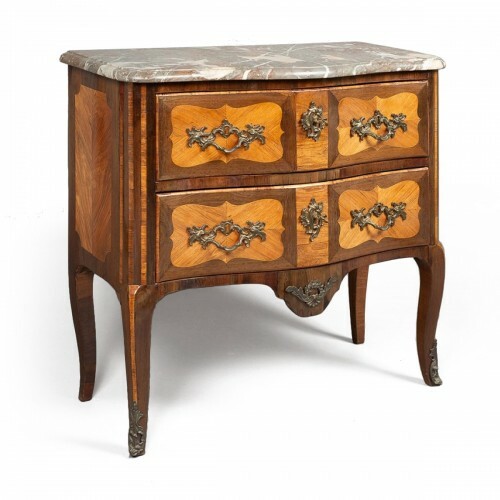 This elegant creation is quite representative of Lardin’s expertise in commode making, in particular from the use of the rosewood veneer upon a narrow chest of drawers with visible dividers.